Take this 3rd Grade Division Test to check your division skills and your ability to solve word problems. The quiz has ten problems: seven multiple choice, and three drag and drop/matching problems. Third grade students will investigate how division and multiplication are related, divide using related multiplication facts, explore division as equal sharing, and solve word problems about division. Interpret whole-number quotients of whole numbers. Use multiplication and division within 100 to solve word problems. 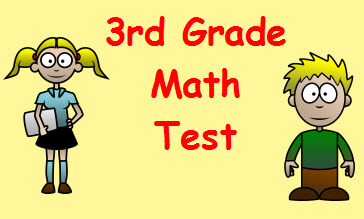 Return from this 3rd Grade Division Test to the Elementary Math Tests , 3rd Grade Math Tests webpage, or to Math Tests.